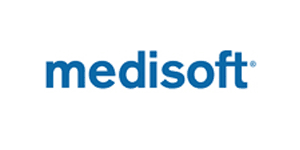 Medisoft is a market-leading practice management system that helps improve cash flow and increase office productivity. Medisoft covers all aspects of your practice from comprehensive billing, scheduling and accounts receivable management to automatic recall tracking, document scanning and robust reporting. 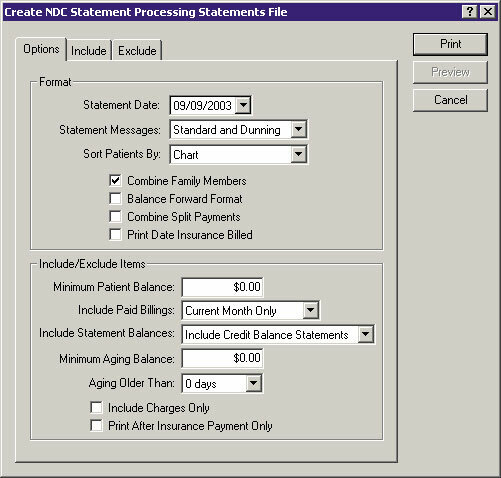 Statement enhancements: A new “charge detail line” feature enables a charge and its associated payments, adjustments and balance to appear on one line, making patient statements shorter and less confusing. Non-consecutive values filter on reports: Users can select individual codes or ranges of non-consecutive codes for reports, allowing virtually any report to be produced with the exact criteria desired. Patient Merge Utility: A new utility allows users to merge two patient records, combining charges, payments, appointments, billing, history, patient notes, patient images and A/R management notes. Billing status codes: Practices can use the new “billing status code” to address several business issues such as tracking visit types, grouping claims together that need to be submitted in paper form, or putting a cash code on bills for patients who purchase services not covered by insurance. 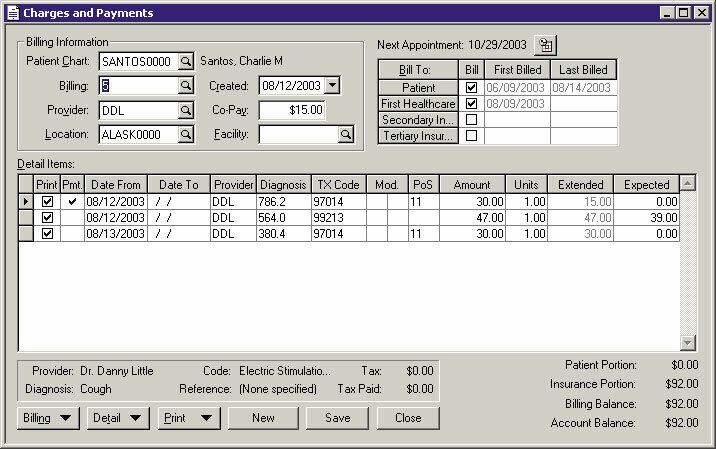 Create charge from Appointment Scheduler: The receptionist can now enter patient charges and co-pay information from the Appointment Scheduler screen, saving time. Show detail payments in Charges and Payments: Billers are now able to view payment details directly under the corresponding charge line item. Month- and year-to-date totals on financial reports: Financial reports can now show month-to-date (MTD) and year-to-date (YTD) totals, providing a clearer picture of financial status. Location and facility subtotals on financial reports: Users can now subtotal financial information by location and facility codes, helping to better analyze utilization of resources. Practice analysis subtotal by provider: Multi-provider clinics can now run the Practice Analysis report with subtotal information by provider. Year-end patient payment report (tax report): Medisoft includes a new report showing a patient’s payments by calendar year for tax-reporting purposes. Prepayment activity zero balance suppression: Under Reports/Patient/ Prepayment Activity, you can now suppress any prepayment entries that have been completely applied. Appointment template sharing: Users can now create and/or edit a template for a single resource and then share the template with other resources. Patient Notes security and auditing: Medisoft includes security options to allow or restrict users from viewing, adding, deleting and modifying patient notes. Added fields to custom reports: In Medisoft, as many data fields as possible were identified and added to custom reports for future use.